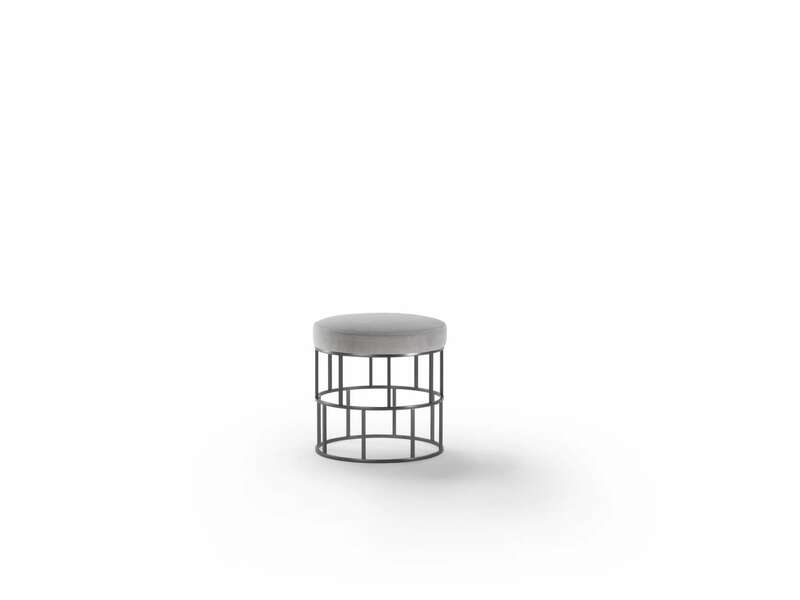 A collection that includes an ottoman, a bench, small tables and lamps, featuring a metal grid base. 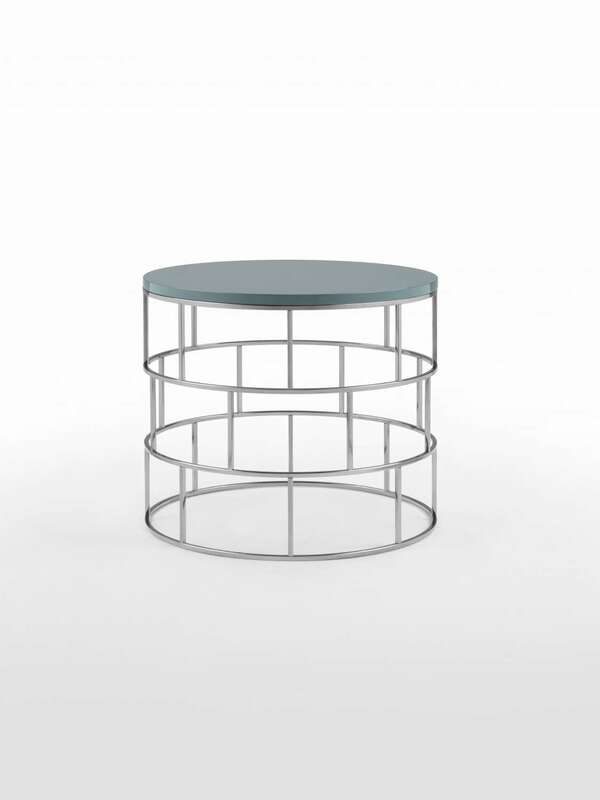 The circular support, slender and light in appearance, hosts tops in wood or marble, or upholstery to transform the table into an ottoman or a bench. 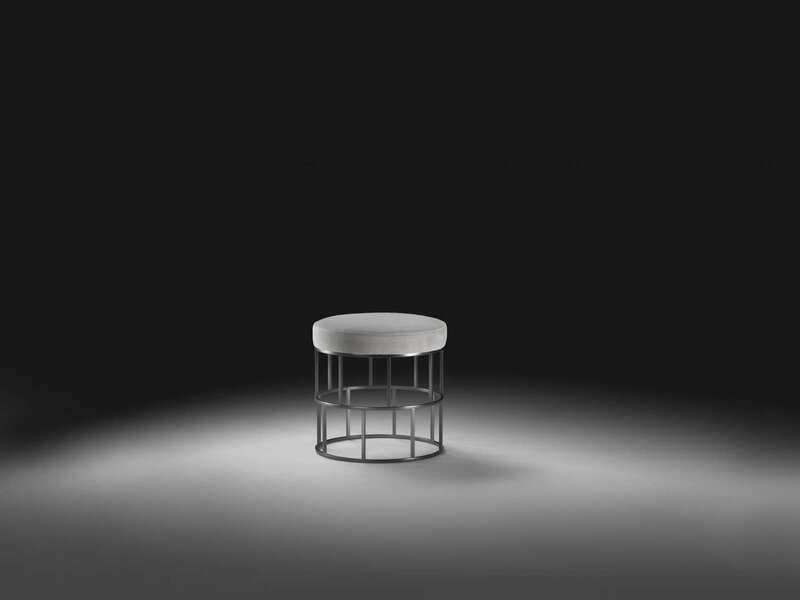 The floor lamp – a tall cylindrical metal grid – has an opaline polycarbonate shade covered in cream-colored fabric.